We all could use a little more love and kindness nowadays, spread it consciously. One of the most valuable and important lessons learned, as I age, is the importance of speaking my truth from a place of love and kindness. This means I honestly say what I have to say, even if it is tough, with the intention of uplifting instead of tearing down. When I was younger it was more important for me to speak truth than to feel love or kindness while doing it. Youth has a way of endowing one with feelings of false power, shrouding one in a cloak of fake invincibility. However, As time went on I eventually learned that sense of power was a mere illusion. Today, as a homeschooling parent, I am able to not only help my daughter academically, but I am afforded the opportunity to teach her lessons in real time about those things I took lightly and for granted. Just because you can say something does not mean it should be said. Words, both careless and well-meaning, have far reaching consequences. 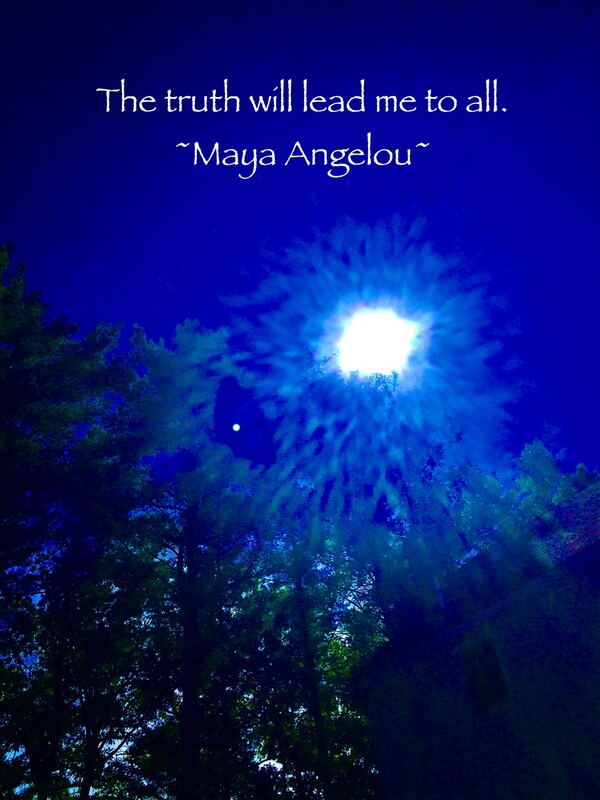 When we speak our truths we might feel uplifted and emptied by doing so, but it is our perspective alone. I have found that if I come from a place of integrity and authenticity my perspective is often well-received. When My motives are selfish or self-serving the opposite occurs. Speaking your truth to power is a great endeavor. However, doing so without care is self-defeating. Saying something in a caustic way might garner views and even likes in the short term, but in the long run it does not add value to uplifting discourse. Any energy, negative or positive, you bring to a situation stays in place once you have achieved your goal. If you come from a place of anger and resentment, anger and resentment will meet you when you arrive; if you come from a place of love and sincerity, love and sincerity will meet you when you arrive. I have learned that speaking my truth to power, with love and kindness, will eventually manifest in positive outcomes whether now or later. Nowadays, my choice is to be on the side that brings positive and light.